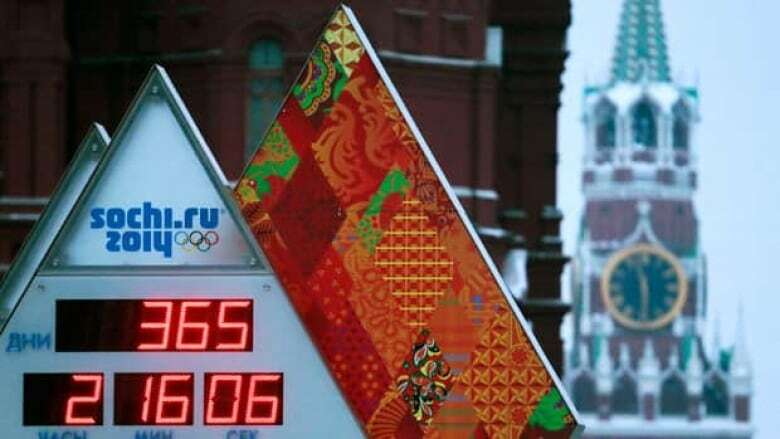 CBC/Radio Canada as the leader in Olympic coverage for the 2014 Sochi Games announced Thursday that TSN, Sportsnet and RDS will also present coverage of the Winter Games from Russia. The 2014 Sochi Olympics are now officially a year away, and the broadcast plans are taking shape. CBC/Radio Canada won the Olympic media rights in Canada last summer for the 2014 Winter Games and the 2016 Summer Games in Rio de Janeiro, Brazil. The deal included sub-licensing rights, and it was announced Thursday that CBC/Radio Canada, as the leader in Olympic coverage, is exercising those rights for the Sochi Games, which run Feb. 7-Feb. 23, 2013. TSN, Sportsnet and RDS will also present coverage of the Games being held in the southwestern Russian city. "We're incredibly proud to be the official home of the Sochi 2014 Olympic Winter Games," Kirstine Stewart, executive vice-president of CBC's English Services, said in a statement. "As we count down to Sochi 2014, we are committed to sharing the inspirational stories of our athletes, while providing Canadians with a robust Olympic Games experience, across all platforms." Further platform distribution announcements will be announced in the weeks and months to come. CBC is making its return to Olympic presentation, having broadcast 19 previous Games, most recently in Beijing in 2008. Stay up to date with the latest news, video, athlete profiles and more on CBC's Road to the Olympics site.